You mean like how denis fired me. For confronting a concern. Short tempered and ureasonable which was denis at crst. Dave no issues with you. Good guy. 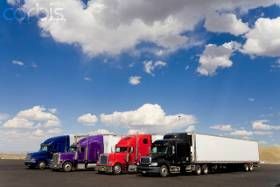 Many trucking companies have an "at will" contract. That means they hire you "at will," and can fire you at any time. Other trucking companies, especially when it comes to training companies, might add other caveats. Hello. I am currently in CRST facility and have gotten my permit. I have been seeing people getting kicked out over pretty much anything. Has anyone debunked CRST. I would like to know the full truth. Do they purposely try to kick people from there co tracts to pay the 7000 school fee? This one makes no sense but is it possible for CRST to withhold your license until you get all 10 months in after contract signed? Is CRST worth sticking with? I hear nothing but bad things. Am i stuck in this contract. Has anyone completed the CRST contract? Please let me know any pros and cons about this company. Over 20 rollovers and accidents in the last 2 months makes you wonder, and every time i ask a trainer about these rollovers they ignore the question. I just feel like something is being hidden from me. I was also threatened to get booted due to medical and i had to do all the work that the recruiters should have done. Contacting CRST's doctors and mine they even hid the fact that my DOT medical cards was sent to them until i made them listen to the recording of me and there doctor on the phone saying i was approved for driving. Hope this all makes sense please give feed back.